L’Associazione Culturale SIETAR Italia è stata fondata nel 2009 con lo scopo di favorire la crescita della consapevolezza interculturale in Italia riunendo tutte le persone che si occupano di comunicazione interculturale, proponendo momenti di formazione e crescita professionale ed offrendo una serie di servizi dedicati ai Soci. 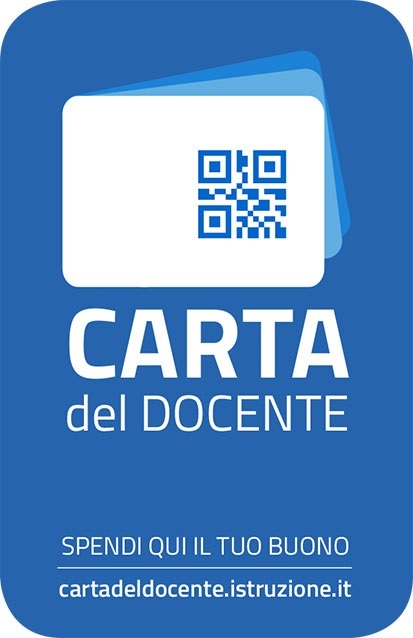 Aderire a SIETAR Italia significa entrare nell’Associazione Italiana Interculturale che a sua volta è affiliata alla rete internazionale di SIETAR. 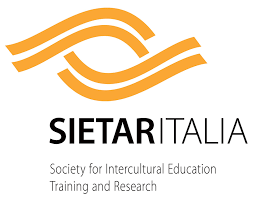 SIETAR – the Society for Intercultural Education, Training And Research – è il maggior network interdisciplinare a livello mondiale di professionisti, docenti e studenti che lavorano nel campo delle relazioni interculturali. Anderson House è socio fondatore dell’associazione ed organizza workshops interculturali per i docenti di lingua in Lombardia. Peter Anderson aiuta studenti e adulti a usare l’inglese interculturalmente ed organizza corsi interculturali presso le aziende per affrontare la sfida globale. È nato in Gran Bretagna da madre francese e padre irlandese, vivendo l’infanzia in Inghilterra e la gioventù in Italia. È cresciuto trilingue ed ha affrontato problematiche interculturali fin da ragazzo. Parla anche il tedesco. Insegna inglese a Bergamo dal 1978 ed ha fondato Anderson House nel 1996. Ha cominciato a interessarsi a tematiche interculturali nel 2005 partecipando al corso DITS presso LTS Bath (UK). Nel 2008 è stato accreditato per il DPI da York Associates a Costanza (Germania) e nel 2013 ha partecipato al corso ICE presso ELC Frankfurt in Germania. Comparing German and Italian Values and how to communicate interculturally with the Germans.  ANDERSON HOUSE Bergamo and ATENEO CORSI DI LINGUE Varese are happy to invite you to a free SIETAR Italia workshop. Facilitators: Peter Anderson, Wencke Grunert and Davide Floridi. ANDERSON HOUSE Bergamo and SIETAR Italia are happy to invite you to a free workshop. In this workshop, students will present their research on the differences between the German and the Italians by analysing the website europeanvaluesstudy.eu as suggested in Rudi Camerer’s book Intercultural Competence in Business English (Cornelsen). Moreover, we will use the Culture Smart books (Kuperard) on Germany and Italy and do an activity called Cultural Values Contrast to examine and compare values in the two cultures. We will then highlight the differences between ‘peach’ and ‘coconut’ cultures. Once we have an understanding of how the two cultures function, we will try out an experiential activity on how to build relationships in social situations and learn to use a range of small talk styles which are adapted to different individuals. This roleplay is taken from the book Communicating Across Cultures (CUP): it will be run in both English and German. This workshop is free, however, if you wish to support SIETAR Italia you may buy the two Culture Smart books on Italy and Germany the proceeds of which will go to the association: our mission is the promotion of intercultural awareness in Italy. Comparing Spanish and American Values and how to communicate interculturally with the two countries. ANDERSON HOUSE Bergamo and THE ENGLISH SCHOOL Cremona are happy to invite you to a free SIETAR Italia workshop. Facilitators: Peter Anderson, Paola Torres and Davide Floridi. In this workshop, students will present their research on the differences between the Spanish and the Americans by analysing the website europeanvaluesstudy.eu and worldvaluessurvey.org as suggested in Rudi Camerer’s book Intercultural Competence in Business English (Cornelsen). Moreover, we will use the Culture Smart books (Kuperard) on Spain and the United States and do an activity called Cultural Values Contrast to examine and compare values in the two cultures. We will then look into the different ways the Spanish and the Americans communicate, taken from Richard Lewis’s When Cultures Collide (Nicholas Brealey International). Once we have an understanding of how the two cultures communicate, we will try out an experiential activity in which we use different communication styles. In this roleplay you will take on the Spanish and American style of communication and experience how different they are. The aim will be to become flexible and accommodate with the person from the other culture. Finding common ground is the most important aspect of becoming interculturally competent. The workshop will be conducted in English and Spanish. This workshop is free, however, if you wish to support SIETAR Italia you may buy the two Culture Smart books on Spain and the US, the proceeds of which will go to the association: our mission is the promotion of intercultural awareness in Italy. Peter Anderson helps teenage and adult students to use English interculturally and runs intercultural courses for companies to support them in their effort to confront the global challenge. He first trained to deliver intercultural workshops (DITS) at LTS Bath in 2005. He was accredited for the TIP and DPI in 2008. In 2013 he was trained to deliver the ICE at ELC Frankfurt in 2013. He was born and brought up in Britain by a French mother and an Irish father. He moved to Italy with his family as a teenager. He grew up trilingual and was faced with intercultural issues from a young age. He also speaks German. He has been teaching English in Bergamo since 1978 and owns Anderson House – a private language school – which he founded in 1996. Anderson House are Founder Members of SIETAR Italia. Wencke Larissa Grunert was born in Hamburg from a German father and a Danish-German mother. She lived in Germany till her early teens and then moved to Denmark with her family. She lived in Copenhagen where she learnt Danish and experienced Danish culture. She attended the Copenhagen Business School where she studied marketing, management, Italian and English. She trained to teach German “her other half” at Goethe Institut Denmark. She has always been interested in learning about intercultural differences. She has worked as an interpreter in export offices for various companies in the textile and automotive sector in Germany, Switzerland and Italy. She moved to Italy in 1990 and lives in Bergamo with her Italian husband and two children. She has taught German at Anderson House since 2006. Paola Torres was born in Bogotá, Colombia. She went to the Pedagogic University of Colombia, where she studied languages (Spanish, French and English) and trained to become a language teacher. She then moved to Europe to continue her studies. She lived in Paris where she experienced French culture and attended the Institut de Linguistique et Phonétique Générales et Appliquées (ILPGA) where she studied “Science du Langage”. Her interest in intercultural differences led her to participate in the program “Crossways in European Humanities” thanks to a scholarship in three different European Universities: she spent a year in St Andrews, Scotland and in Bergamo, and 2 years in Perpignan. She moved to Italy in 2007 and lives in Bergamo with her Italian husband and two daughters. She has taught Spanish at Anderson House since 2007.